Luminance HDR (formerly known as Qtpfsgui) is a powerful digital photography tool that allows you get the lighting of your images just right. Luminance HDR is used to adjust the lighting of images taken at different exposures in order to make them consistent with each other, using HDR technology. Given three images - one over-exposed (say, -2), one normally exposed (0) and one under-exposed (+2), the application will automatically fuse the images in order to ensure the correct exposure in each picture. This is normally a technique that would require you to be an expert in photography and all the lighting and exposure adjustments you'd have to make would be extremely tedious. Luminance HDR offers a range of clay/tone mapping filters to help you further enrich the quality of your pictures. These include: Fattal, Ashikmin, Durand, Drago, Pattanaik, Reinhard'02 y Reinhard'04. Luminance HDR features support for a wide range of formats including OpenEXR (extension: exr); Radiance RGBE (extension: hdr) and Tiff formats. As labor saving as Luminance HDR is, it still requires quite a lot of time to get the most out of it. There are many settings and advanced functions that most non-photography professionals won't feel comfortable with. OpenEXR (extension: exr); Radiance RGBE (extension: hdr); Tiff formats: 16bit, 32bit (float) and LogLuv (extension: tiff); Raw image formats (extension: various); PFS native format (extension: pfs). Supported LDR formats, JPEG; PNG; PPM; PBM;TIFF (8 bit). 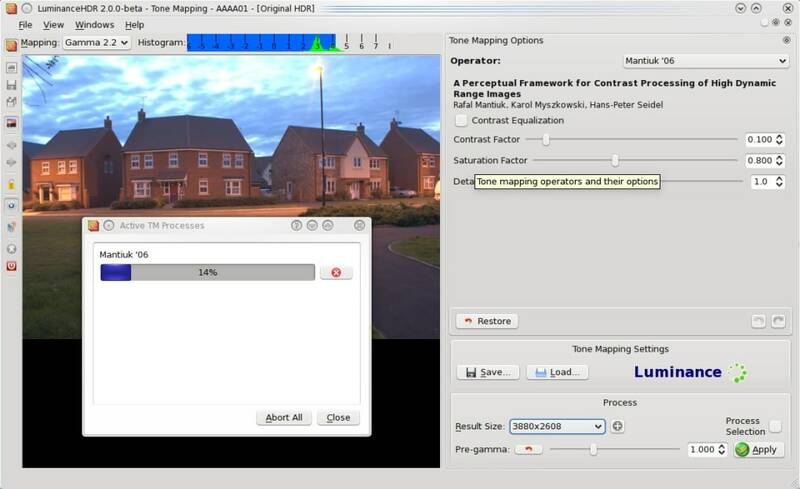 Qtpfsgui is an open source graphical user interface application that aims to provide a workflow for HDR imaging. 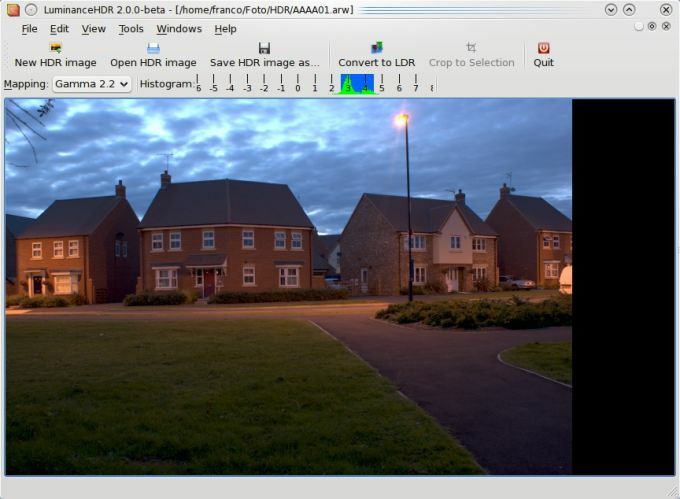 High Dynamic Range Imaging (HDRI) is a set of techniques that allow a far greater dynamic range of exposures (i.
e. a large range of values between light and dark areas) than normal digital imaging techniques. The intention of HDRI is to accurately represent the wide range of intensity levels found in real scenes ranging from direct sunlight to the deepest shadows. What do you think about Luminance HDR? Do you recommend it? Why?